For some musicians, Rush falls into the category of guilty pleasure. I routinely find myself on the defensive in my circle of musician friends who still remember the band’s more excessive and prosaic moments early in their career. However, Rush has compiled a body of quality work that is truly impressive and self evident. For that reason, I have chosen one of their more restrained and nuanced pieces, “Dreamline”. It’s a deep cut from their fine album “Roll The Bones”. Bass purists will be happy to see that Lee is a “finger” player. 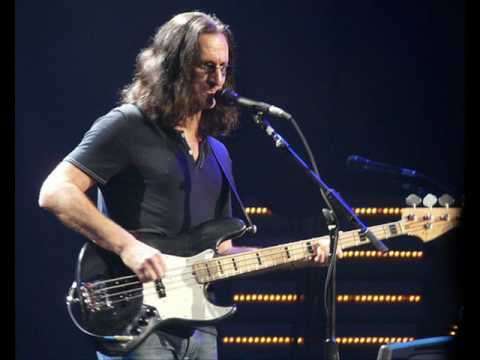 Lee also uses harmonizers to add an orchestral aspect to the Rush ‘power trio’ format. If your wondering what the washing machines are all about, it’s interesting to note that Lee eschews onstage amplification in favor of direct input into the house P.A. The washing machines are just props to add some humor to Rush’s stage presentation.